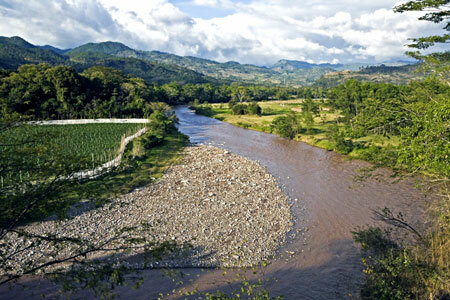 While Guatemala and Belize are home to a handful of major Maya ruins, Honduras has just one, and it’s exceptional. 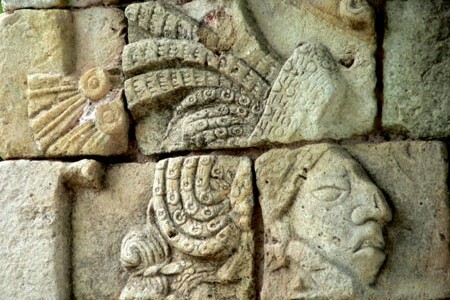 A UNESCO World Heritage Site since 1980, Copán was one of the ancient Maya’s most lavish cultural centers (450 to 950 AD). It’s less grandiose than it is a detailed work of art, and it is particularly well known for its intricately carved stelae (stone monuments). For the best experience, tour Copán with a knowledgeable guide (or better yet, an archaeologist) who can bring the ruins to life. 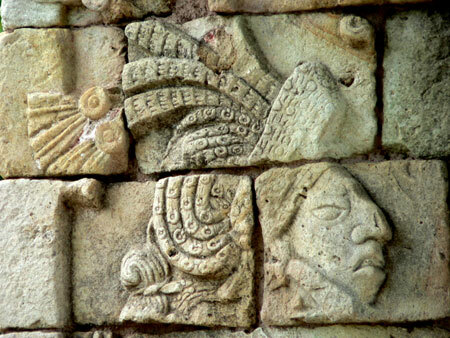 A UNESCO World Heritage Site since 1980, Copán was one of the ancient Maya’s most lavish cultural centers during its seventh century heyday. Copán sits in a pristine river valley surrounded by rolling hills, farmland, and jungle, just 60 km/37 mi from the Guatemalan border. 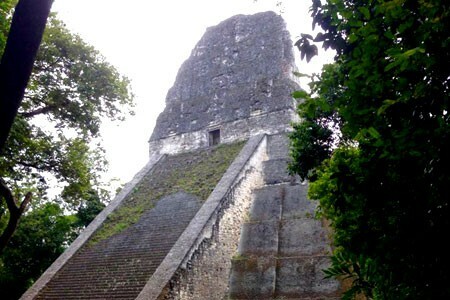 Most travelers stay in Copán Ruinas, just 1 km/0.5 from the archaeological site. With its cobblestone streets and picturesque plaza surrounded by a few good hotels, restaurants, and shops, it’s the ideal place to relax with a local lager and some nachos served from a traditional Honduran anafre pot. 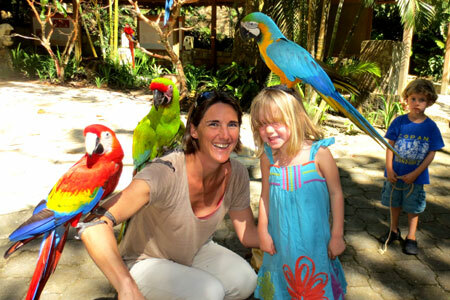 Less than 2 km (1 mi) from Copán Ruinas is Macaw Mountain Bird Reserve, home to more than 100 rescued or endangered birds like scarlet macaws, toucans, and parrots. Trails through the reserve’s tropical gardens and old-growth forest reveal some of the 330 bird species of the region, not to mention mammal, insect, and reptile life. 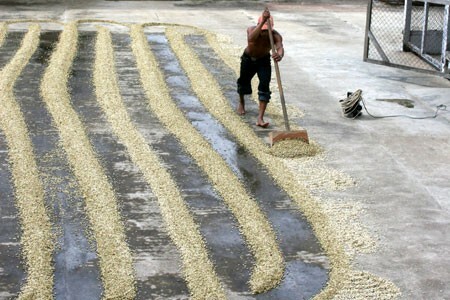 Also within a short drive are horseback tours, visits to local coffee, cardamom, and cacao farms, and relaxing thermal hot springs. Travel about three hours southeast of Copán Ruinas, and you’ll discover the idyllic town of Gracias, once the 16th century Spanish capital of all Central American strongholds. Gracias combines the charm of early Spanish colonial influence and architecture with the proud culture of the Lenca indigenous peoples. 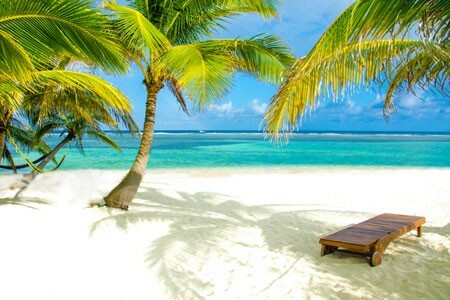 Travelers step off the beaten path to visit Gracias to discover Lenca culture, indulge in the region’s soothing thermal hot springs, and hike the trails of Celaque National Park cloud forest reserve (just 12 km/7.5 mi away), with Honduras’ tallest mountain—Cerro de las Minas—at its centre. While Guatemala is home to a handful of major Mayan ruins, Honduras has just one—and it’s exceptional. 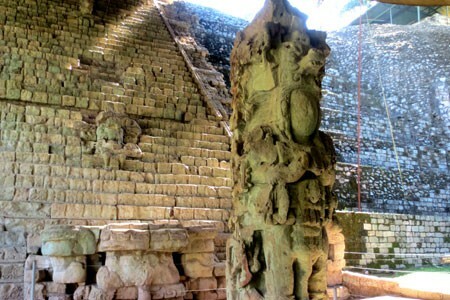 A UNESCO World Heritage Site since 1980, Copán was one of the ancient Maya’s most lavish cultural centers during its seventh century heyday. 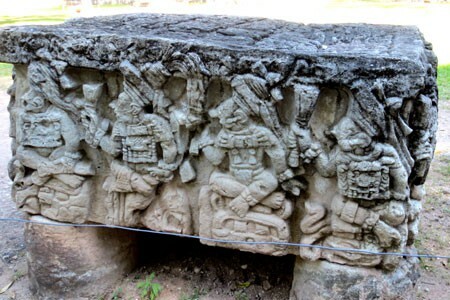 It’s less grandiose than it is a detailed work of art and is particularly well-known for its intricately carved stelae (stone monuments that depict the story of Copán’s rulers). 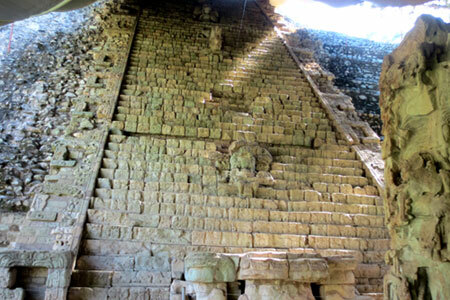 For the best experience, tour Copán with an experienced guide—or better yet, an archeologist—who can bring the site to life. 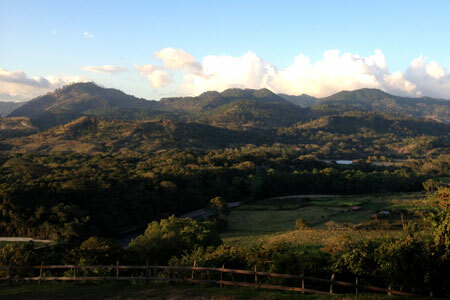 Located in western Honduras, just 60 kilometers from the Guatemalan border, Copán sits in a pristine river valley characterized by rolling hills, farmland, and tall jungles that serve as home to everything from tree sloths and parrots to peccaries (the latter resembles an oddly shaped pig). 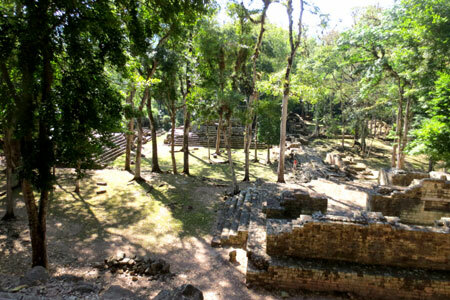 Most people exploring the ruins use the small town of Copán Ruinas, located just one kilometer away, as their base. 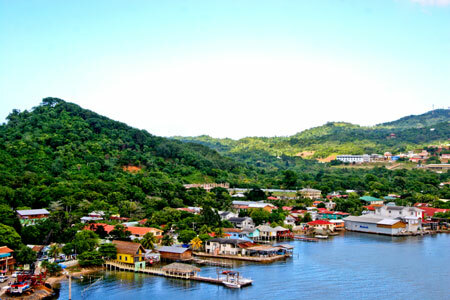 With its cobblestone streets, picturesque plaza, and smattering of reasonable restaurants, hotels, and shops—most within a block of the plaza—it’s an ideal spot to decompress or to strike out to see the region’s other sites; highlights include visits to local coffee and cardamom farms and the Macaw Mountain Bird Reserve & Nature Park, a home for rescued tropical birds. The quaint town of Gracias (“thank you” in Spanish), established in 1532, lies in the Lempira lowlands about three hours southeast of Copán Ruinas. 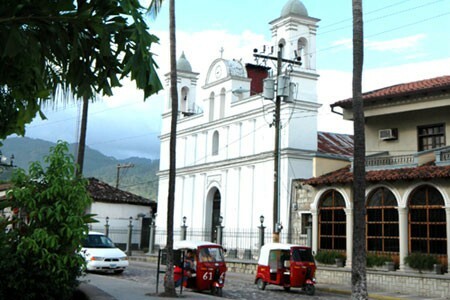 A pleasant walk through town reveals both its indigenous Lenca present and its Spanish colonial past. On the horizon, Honduras’ tallest mountain, Cerro de las Minas (2,870 /9,416 ft) crowns Celaque National Park just 12 km/7.5 mi away. This cloud forest park boasts nature trails, waterfall hikes, and zip lines, and some hikers even attempt the arduous trek to the summit. After a blissful day exploring, a long soak in the town’s famous thermal springs brings one word to mind: gracias! Comayagua served as the capital of Honduras for more than 300 years before the capital moved permanently to Tegucigalpa in 1880. 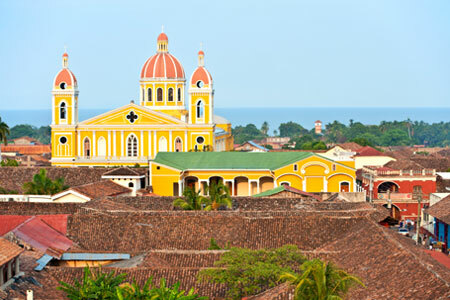 The rich history of this city of approximately 150,000 residents is reflected in the newly restored colonial-era architecture of its churches, plaza, and municipal buildings, all within walking distance of the central square. The impressive cathedral contains the oldest clock in the Americas and four hand-carved, gold-covered altars. This normally tranquil small-town city swells with visitors during Semana Santa (Easter week), who flock here to witness Comayagua’s vivid, traditional processions and intricate sawdust carpets throughout the city streets. Honduras’s largest lake, Lake Yojoa, is a birder’s utopia, with more than 375 recorded avian species. Just about an hour south of San Pedro Sula, the lake stretches approximately 89 sq. km/34 sq. 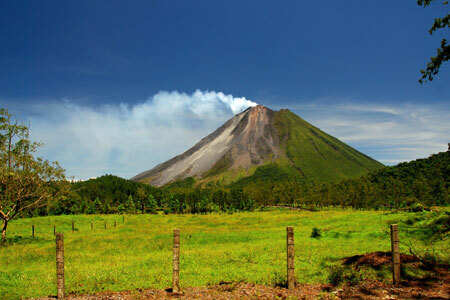 mi and is surrounded by marshland, forests, semi-excavated Lencan ruins, and two national parks: Santa Bárbara and Cerro Azul Meámbar. 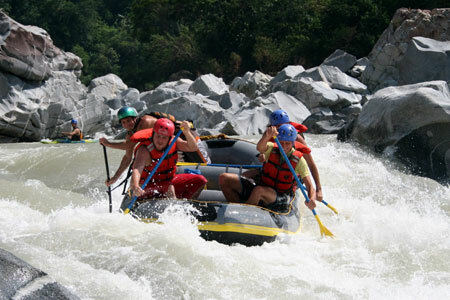 Meámbar has a handful of well-maintained hiking trails passing cascading waterfalls. Further from the lake you’ll find thermal springs, a series of caves, and the 43-m/141-ft high Pulhapanzak Falls, where you can swim, tube, and hike, or even zip line above the crashing waterfalls.